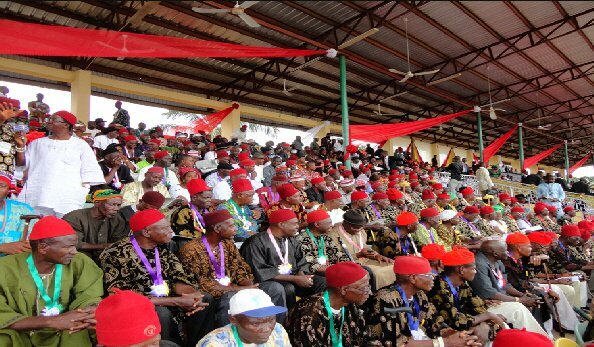 The Chairman of the South East Council of Traditional Rulers, Eze Cletus Ilomuanya, on Friday insisted that the Igbos would not leave the northern part of the country, because every Nigerian is free to live and do legitimate business in any part of the country he wishes. 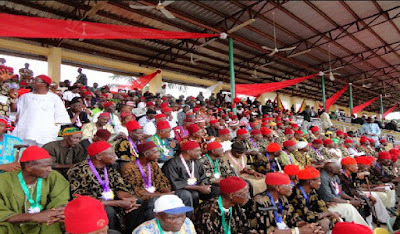 Eze Ilomuanya stated this while speaking in Owerri, Imo State, at two different events while receiving Ohaneze Ndigbo Youth Council (OYC), Imo State branch and Association for Media Communication Development. He was conferred with the title of “Distinguished Royal Father-Award” at the event. “Nigerians are one irrespective of our ethnic-religious, linguistic and tribal diversities. We must preach peace and unity as a way out of any serious problem or challenge facing us as a nation,” he said.